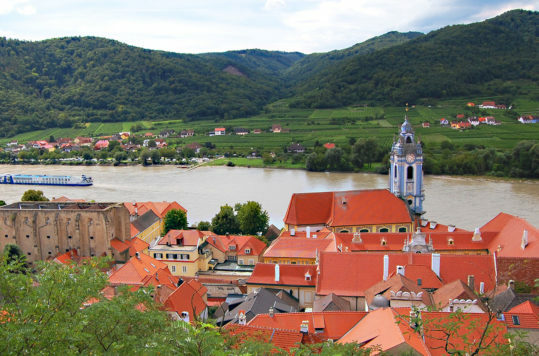 The mediaeval Aggstein Castle is perched on a cliff 300 metres above the Danube River. 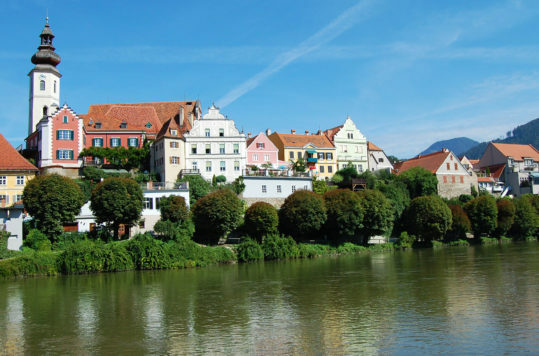 It offers stunning views of the surrounding valleys, and an insight to life in the Middle Ages. 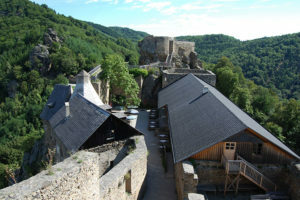 Although Aggstein Castle is only partly restored it offers you an insight to life in the Middle Ages. Furthermore, the fantastic views of one of the mightiest rivers in Europe, the Danube, also makes it well worth the trip up the mountain. Most parts of the castle are open to visitors. Wooden stairs and walkways make the unrestored parts safe to enter. 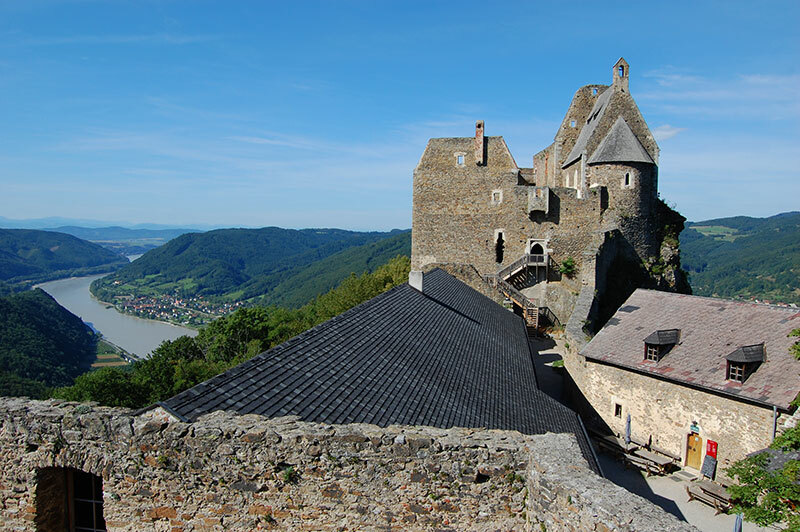 We do highly recommend visiting Aggstein Castle even if you do not have the slightest interest in history or mediaeval architecture. Exploring the ruins while taking in the stunning views, might be more fun than you think. 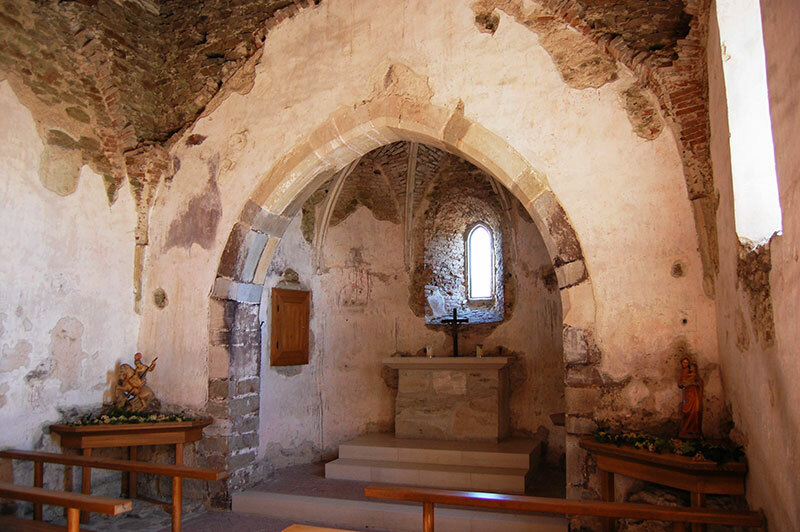 Everywhere, there are some hints of the life in the Middle Ages to be seen. Still existing and restored rooms such as the Great Hall and the Chapel, give you a hint how the castle was lavishly decorated in its heydays. Moreover, you can still see and sit in at a couple of mediaeval restrooms (loos with views) in the outer walls. What may seem as rudimentary interior actually was rare in those days, and fit for nobility. Use your imagination and put yourself in a shining knights armour while touring the castle. At least the, the castle museum in castle will spur the imagination of the kids, with its mix of history and fairy tale exhibition. They have also made some models to show the development of the Aggstein castle over the 800 years of it existence. Aggstein Castle offers guided tours (in German and English) which take about one hour (€ 4,50 per person). You can also take individual tours at your own leisure and enjoy the parts that interest you. Pick up an audio-guide (€ 1,50 per person) at the entrance, which are also available in a children’s version. If your are hungry for a snack og maybe some dinner, there is a restaurant at the castle which have great views from some of its inside tables, and a pleasant courtyard to enjoy food or drink. 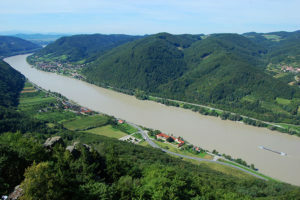 The Danube has been a main thoroughfare since Roman times. 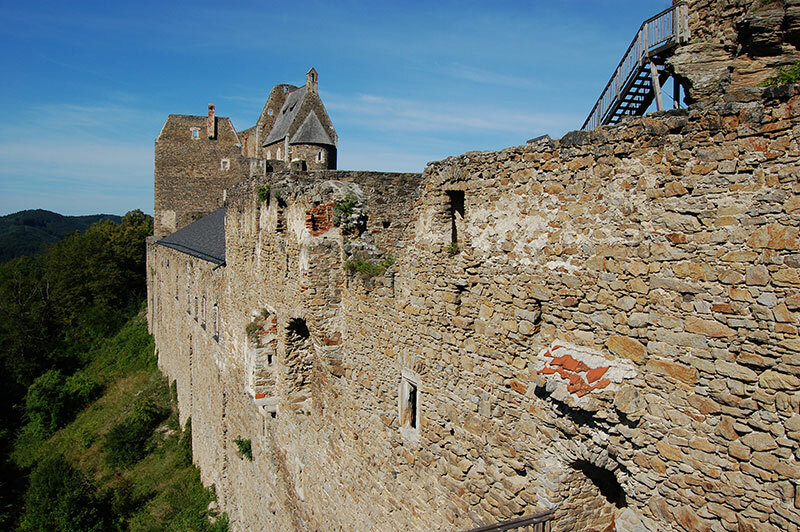 During the Middle Ages building a castle meant gaining both military and economic control of the area. Enduring a relatively turbulent history has made its marks on its structure. Aggstein Castle’s oldest parts are from the 12th century. 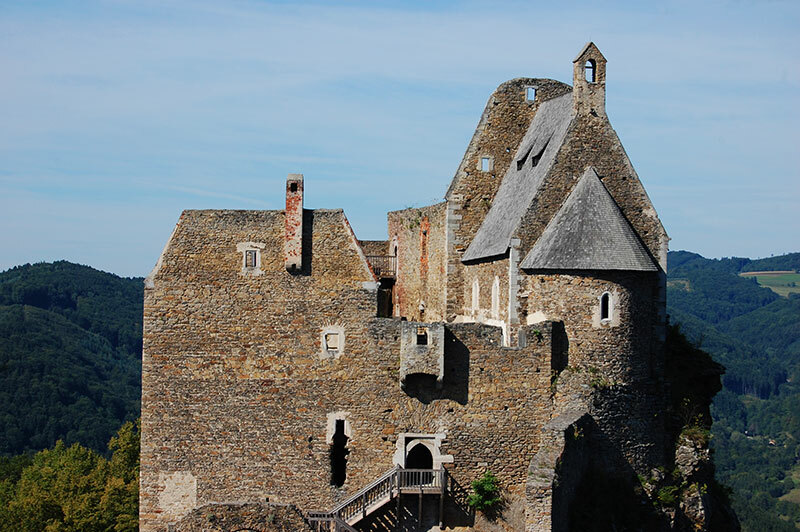 Demolished and reconstructed several times, the castle has changed appearence throughout its history. In the 14th century, many of the features that you see today started to appear. In 1529, the Turks besieged the castle and ravaged it before leaving it in ruins for the next five centuries. 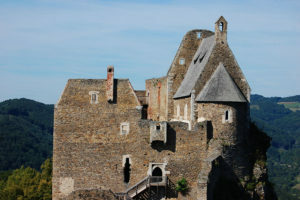 In 2003 work began to restore the castle and making it into a tourist site. Throughout the year, different events are taking place at Aggstein Castle, such as Mediaeval Feast, Easter Egg Hunt and Market days. Visiting season usually runs from March until November. You can park your car right outside the castle gates. The road up to the castle is paved, but narrow and winding. Thus, those who don’t mind the hike through the forest, can also park down on the river plain near the B33 county road.